I submitted all civil documents to nvc, all the papers were accepted is no longer a copy of police certificate. 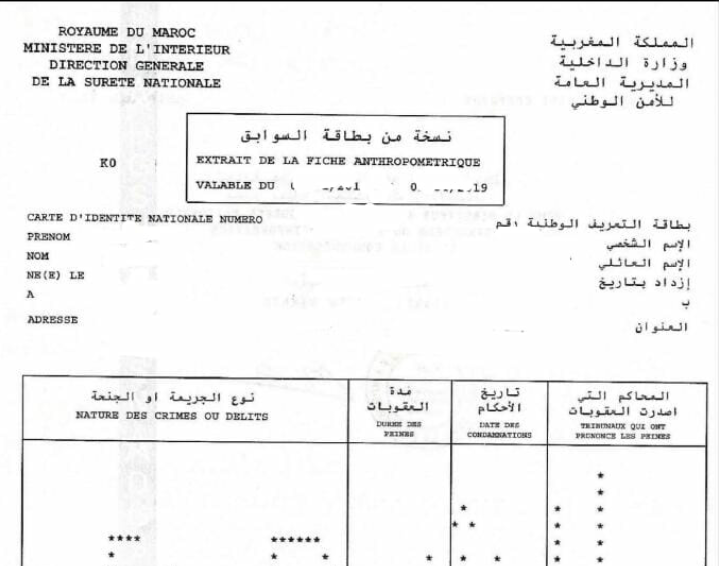 MOROCCO requires more than one police certificate. Please delete any MOROCCO police certificates and submit all of required police certificates together at the same time. Please use our Document Finder at https://nvc.state.gov/find for acceptable documents guidelines. I sent the required document with its translation. Who had the same problem and solved the issue? Thank you for your reply, So to my understanding you submitted an Arabic copy and it's translation as a 1 document? Yes I sent the original version in Arabic and translated it into the same file. I sent them twice and were rejected and the same text message. Did you find the solution about that? They accepted the police certification and they asked me to delete it and resubmit even though I can't because it is accepted. I am going to give them a call Monday. I submitted my brother's P.C separately and they were accepted. They﻿ accepted the police certification and they asked me to delete it and resubmit even though I can't because it is accepted. I am going to give them a call Monday. I submitted my brother separately and they were accepted. You have the same problem, I sent them the first time and refused the document and I contacted them and said that they can not determine the police certificate for your country and sent me a site containing information about the document. But it is the same document, I really don't know what I do. I sent them a second time with a different translation of the document and was rejected. If you find any solution told me. Please! a Fiche Anthropometrique and a Casier Judiciaire from the Central Police station at their place of residence. Yes, I know that..I have sent them; the police certificate (abstrat of anthropometrique card) from police station and the judicial record of (court) .. The judicial record has been accepted but POLICE CERTIFICATE REFUSED. In post u state "i submitted the required document"
No, We submit documents online to NVC.